He remains doubtful for the two away games against Fenerbahce Beko, but Paulius Jankunas made the trip to Turkey with Zalgiris Kaunas. Fenerbahce Beko got some good news on Jan Vesely. 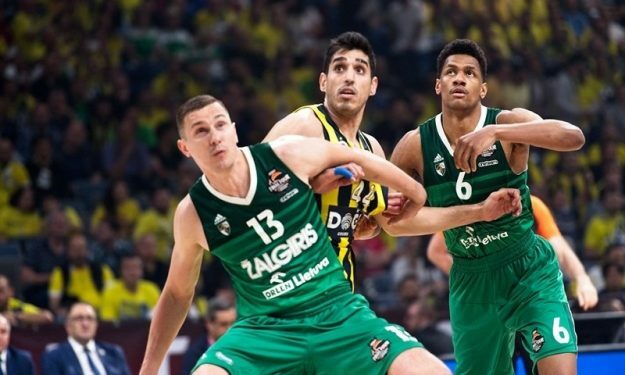 The Turkish side EuroLeague playoffs opponent, Zalgiris Kaunas, received some good news of its own with captain Paulius Jankunas traveling alongside his teammates and coaches to Istanbul ahead of Game 1. However, Sarunas Jasikevicius admitted it will difficult for the 34-year-old Lithuanian big to actually play in one of the two upcoming road games versus Fener. “He’s improving his condition trying to train more every day. I don’t think much about what can be expected from him at the moment, but the captain’s presence at this stage of the season is very important” the 43-year-old Lithuanian head coach pointed out before the trip to Turkey per Donatas Urbonas of 24sek. Jankunas has been sidelined since late February having only played in 17 out of the 24 EuroLeague Regular Season matches. He averaged 6.2 points and 3.1 rebounds when available. Besides his player, Jasikevicius added: “Fenerbahce is a very physical team. We need to know where to go with the ball to attack. We must play very physically or else we will have no chance”.